busting gender stereotypes and assumptions one pronoun at a time! 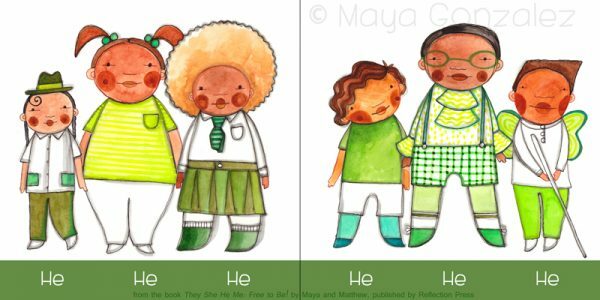 How do you daily confirm and celebrate gender fluidity when the he and she binary is so prevalent in EVERYTHING, everywhere, all the time!? 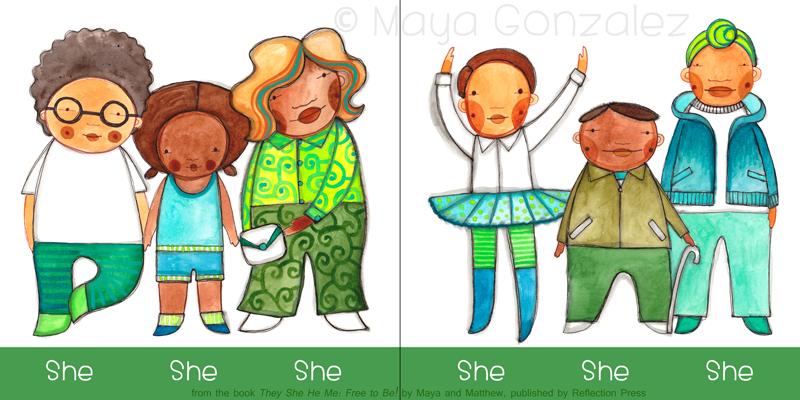 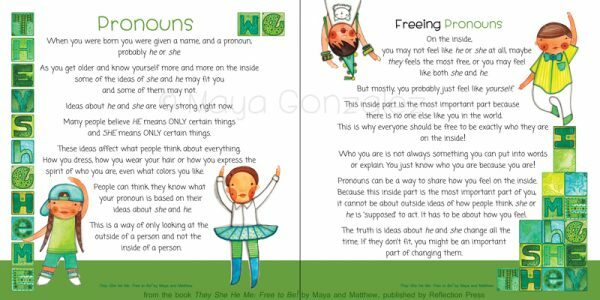 Pronouns serve as a familiar starting point for kids and grown-ups to expand ideas about gender and celebrate personal expression with fun imagery that provides a place to meet and play. 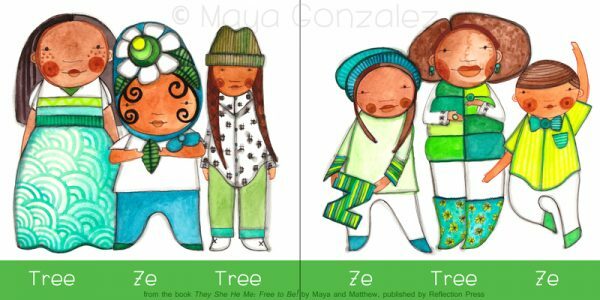 Award winning children’s book author and artist Maya Gonzalez is joined by her partner, Matthew, in their first children’s book together as queer parents. 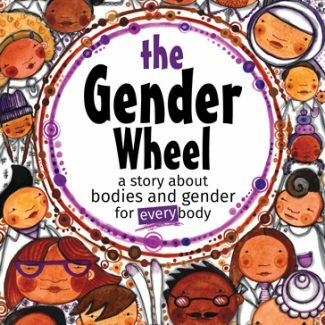 Raising their youngest kid in a gender fluid, free space in the heart of San Francisco’s Castro district where visions of drag and gender non-conformity are known to freely flaunt, did not stop the insidious “she” “he” assumptions and stereotypes from infiltrating their kid’s world. 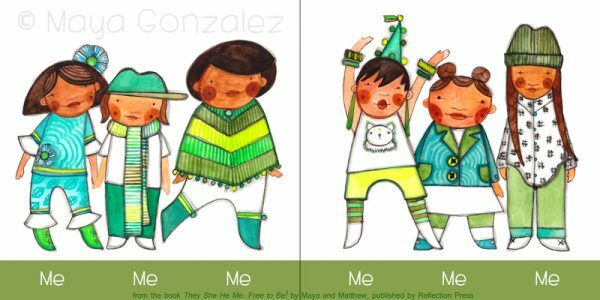 With virtually no reflection for different gender presentations in children’s books available, together they created a book to do just that. 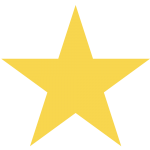 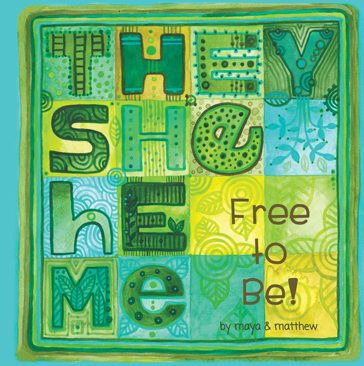 They She He Me, Free to Be shows many gender presentations under each pronoun and invites even more. 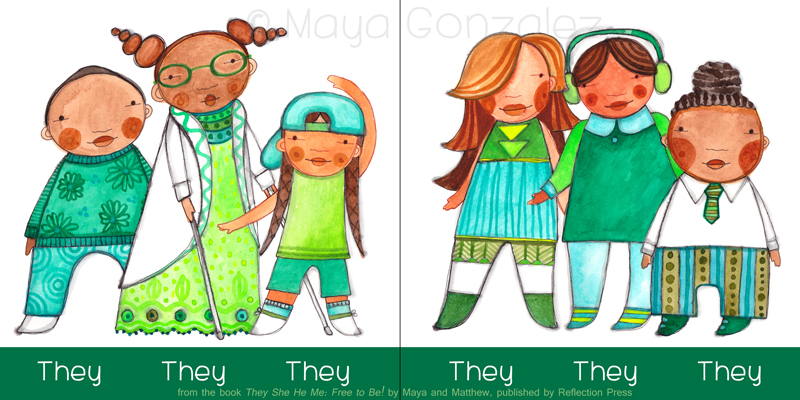 A go-to place to help keep the conversations alive, break down assumptions of who is “she” or “he” and expand beyond the binary to include “they” and more. The back offers a playful narrative about pronouns, inviting kids to know themselves inside and out, claim the pronouns that express the spirit of who they are and respect that in others. 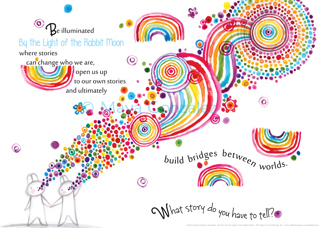 Also included is some discussion for grown-ups on how to hold a supportive space for kids (and for themselves). 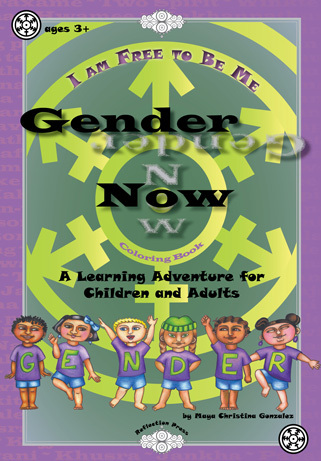 This book stands on its own, but it also serves as a great reference to expand gender in other books and media. 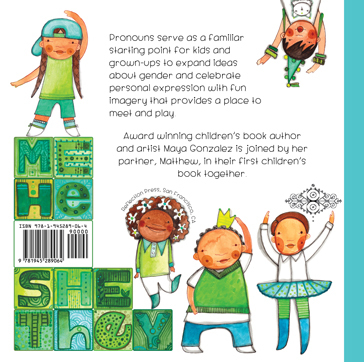 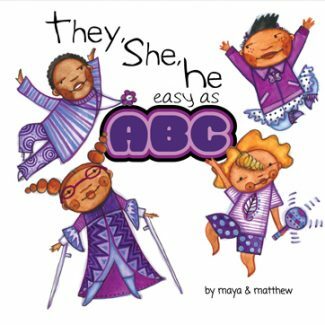 They She He Me also pairs perfect with, The Gender Wheel, a story about Bodies and Gender for every body. 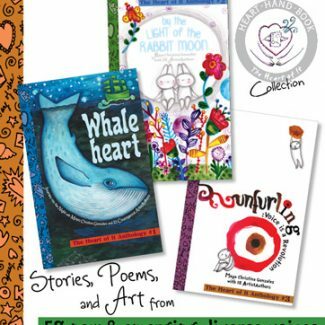 Together these books offer a firm foundation of radical gender inclusion for parents, educators and caregivers to share with their kids.